These things are tickling my fancy . . .
Allie Brosh's hysterical blog: Hyperbole and a Half. (Warning: Do not read this in the workplace. The fist-pounding laughter that you will not be able to hold in, will make you look unprofessional.) This post is one of my favorites. Directions: Pour an inch of olive oil into an oven safe pan. 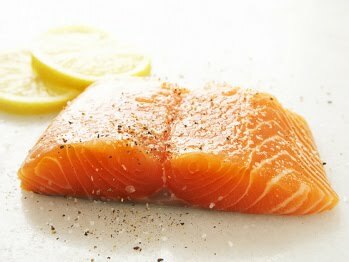 Sprinkle salt and pepper over salmon fillets, and place in the olive oil. You can throw in any herbs you like as well. Cook in oven at 300 degrees for 30 minutes. Jusmex. The Mexican diner near my new day job. They serve hashbrowns for breakfast. Their website has blinking lights. The man at the cashier shows you pictures of his babies and hands out unsolicited bible verses. Everything about it is awesome.